Samsung finally uncovered their duo of flagships for 2018 with an innovative surprise! An innovative camera, cutting-edge processing power along with a remarkable 5.8inch display for the Galaxy S9 and 6.2inch for the larger and stepped up model S9+. The design is nearly identical to their previous generation S8 and S8+ but with many improvements noticeable immediately. Samsung also upgraded their flagship feature Bixby with a new design and it now comes with a couple of new features. Bixby can now take a picture of your food and estimate its calorie count linked to S health. Due to the huge amount of leaks and almost accurate rumors before launch, the final design and specifications of Samsung’s new flagships were expected. The final design indeed looks identical to the leaked images of Galaxy S9 and S9+. Exact pricing for other markets is currently unclear. 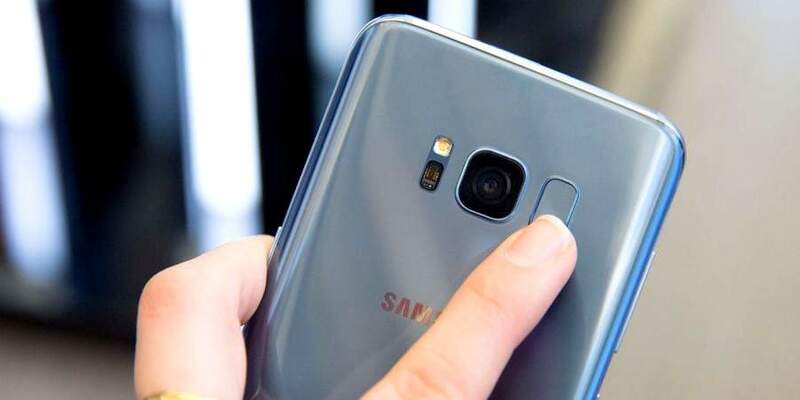 Samsung reacted to the public’s opinion and changed the placement of the fingerprint sensor that failed to impress everyone in their previous generation device. Galaxy S8 and S8+ had their fingerprint sensor placed on the right side of the camera which failed to impress people ergonomically. 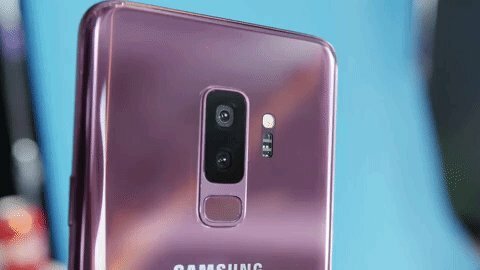 Finally, in the S9 and S9+ the fingerprint sensor is back to where it belongs, on the bottom of the camera, easily reachable and ergonomically comfortable. 12MP Dual Pixel camera with OIS (f/1.5, f/2.4), 8MP front-facing camera. Qi/PMA wireless charging (market dependent). This year, on both devices Samsung came up with a new technology called ‘variable aperture’. This particular camera technology is the first invention in mobile phones by Samsung. On both models the variable aperture goes from f1.5 to f2.4, brighter than the S8. If you are in a bright environment, somewhere outdoor and the light is too much, you can shut down the aperture for better quality photos. Or you can let the phone do it automatically or yourself in the PRO mode. Even though it is locked at 1.5 or 2.4 and does not do any values in between, it’s still a great feature. In S9+, the dual camera pack two lenses, a wide angle and a telephoto lens which lets you get closer to your subject and do different types of blur effects which Samsung calls the live focus. In terms of the sensor, the camera is still 12MP in both devices, but it’s equipped with next-gen dual-pixel auto-focus. It does more processing on the chip so you get better noise reduction than before with up to 30% in certain low light situations, making the photos look life-like. Samsung says S9 and S9+ both are going to have the best low light performance thanks to improved multi-frame noise reduction algorithm where it combines multiple frames together to reduce noise. A new feature on the video side is the 960fps@720p video recording for short burst or a super slow motion video. The camera app is also redesigned with new features, you can swipe modes now which is easier than the previous app. PRO mode, of course, gives you full manual control on aperture, shutter speed, and other camera settings. The duo comes with a new feature called AR emoji which is basically Samsung’s take on the Apple’s animoji. It creates a 3D animated image based on 100 points of your face when you look at the camera and then turns it into an animated GIF which you can edit to your liking. It is very similar to Snapchat’s bitmoji, you can customize it but in a real-time environment because it actually reacts to your face. This year, Samsung has done a great job indeed. These devices look promising and on par with the expectations of a 2018 flagship phone. 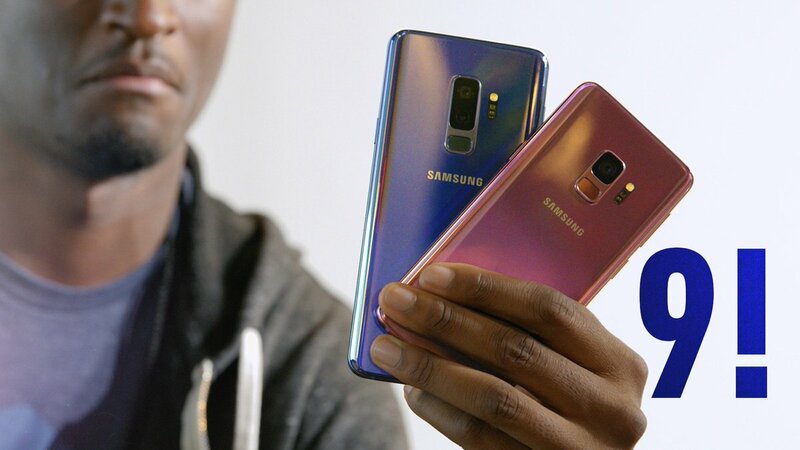 There’s a lot more in the S9 and S9+ which will be left for the in-depth reviewers. Previous articleApple Finally Rolled Out An Update For The Destructive Text Symbol! Next articleEnergizer Introduces Hardcase H590S 5800mAh Smartphone!